Michel Gondry is the master of visual oddities. He delivers powerful imagery with riveting storytelling in an intricate attention-oriented manner. The French director has an extensive repertoire of films that have captivated our attention, from Eternal Sunshine of the Spotless Mind to The Science of Sleep. Gondry, also a music connoisseur and collaborator, has served as the music video director for artists such as Björk, Foo Fighters, Daft Punk, The White Stripes, and Paul McCartney. Here are some of the highlights from Michel Gondry’s music video directing. An example of Gondry’s multi-layered directing, in “Hyperballad,” he illustrates Björk as a video-game character. She is synced with the song’s high-tempo loop and featured in a two-dimensional landscape. Michel Gondry’s joined his French comrades to create a perfect combination of music and images. The result was perfect: a video about music videos, so meta. 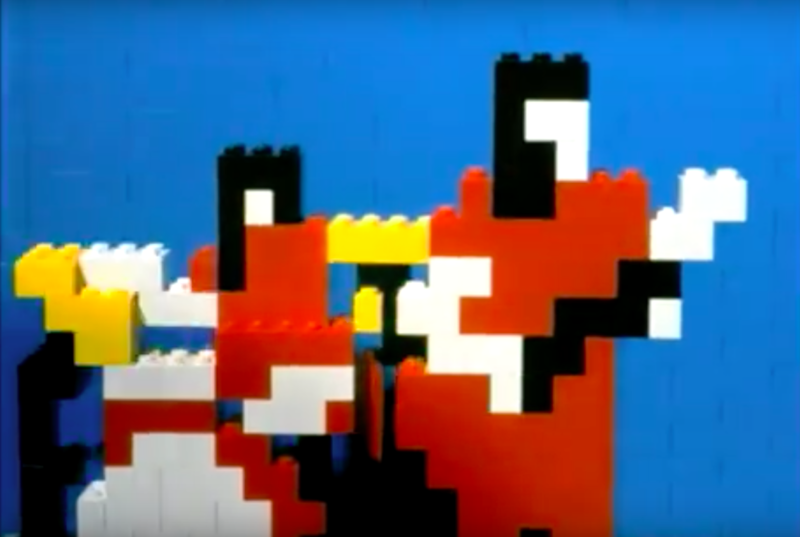 In a Mondrian-inspired LEGO animation, “Fell in Love With a Girl” became one of The White Stripes most iconic music videos. The video perfectly paired stop-motion animation and garage rock. It also displayed Gondry’s attention to the crafting of images and sound. This one is for the history books. We can spend hours discussing and analyzing the mind of Gondry in Daft Punk’s “Around The World.” It was one of the most important music videos ever created: it features perfectly synchronized choreography, each individual representing a beat, synth, and sound from the song. The video served as a catalyst to Daft Punk’s global success. Nothing that Gondry touches will ever fall into the logicial category. An eerie buñuel-esque music video featuring a late-90s classic alt-rock song, “Everlong” shows lead singer Dave Grohl with giant hands, clearly a preview to Gondry’s The Science of the Sleep. Michel Gondry masterfully pushes forth his love for the cinematic and the musical. The video opens with an aerial shot of kids making shapes to the song lyrics. Impressively, it results in a video that’s just one long shot. More in one-long shot videos, “Come Into My World” has an insane video structure, as one long continuous shot shows Kylie Minogue strolling the streets of Paris. The video looks effortless, while still bathed in details. In “Dance Tonight,” we see Paul McCartney playing the mandolin, joined by Natalie Portman, as he walks throughout his country house full of ghosts. “Dance Tonight” is another example of Gondry’s ability to shape a dream world, a complete fantasy intersected with cinematography. Michel Gondry has provided the images to many of the songs we love, and in his own way, revolutionized the way we listen – and see – music.